I participated in the Workshop in Taipei, Taiwan and in Moscow Russia organized by WEBA.The 2 events were very well organized and the WEBA crew were very helpful.The quality of the agents who took part of the events was very good. There was also different institutions who attended the events,coming from different countries and proposing differents programs. Thanks to all from the WEBA crew! 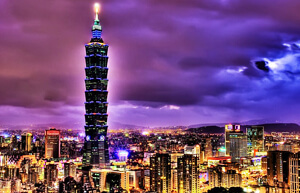 Agents from all over Taiwan institutions from all over the world will be present at each annual WEBA Agents Fair!